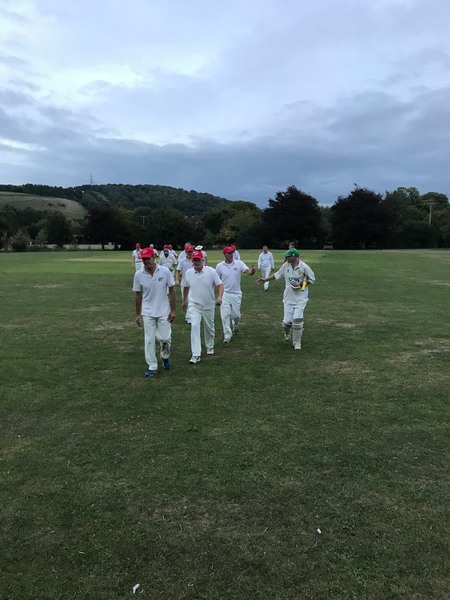 It's taken four season and seven matches but the Hawks have finally defeated the East Meon Izaak Lions after a close fought three wicket victory on Thursday night. 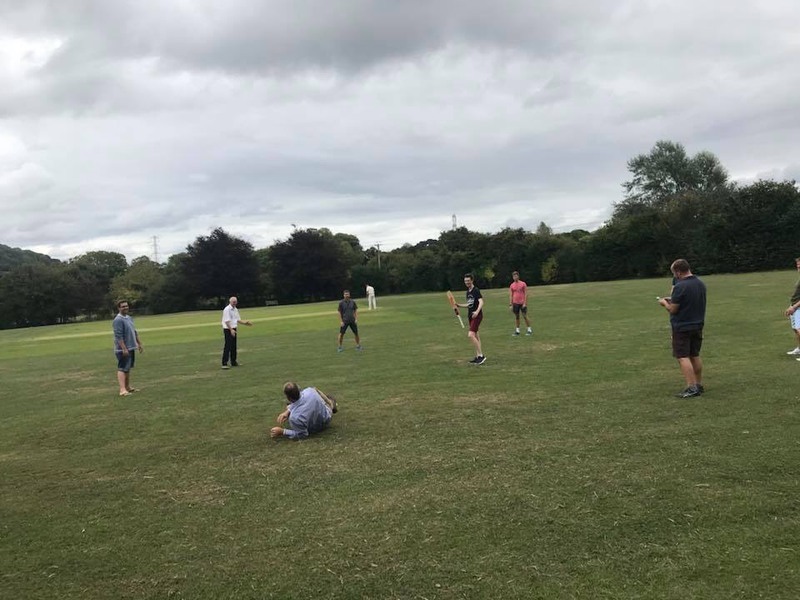 The majority of Chidham players turned up early in East Meon and warmed up with some catching practice and gentle stretches which put them on the front foot. 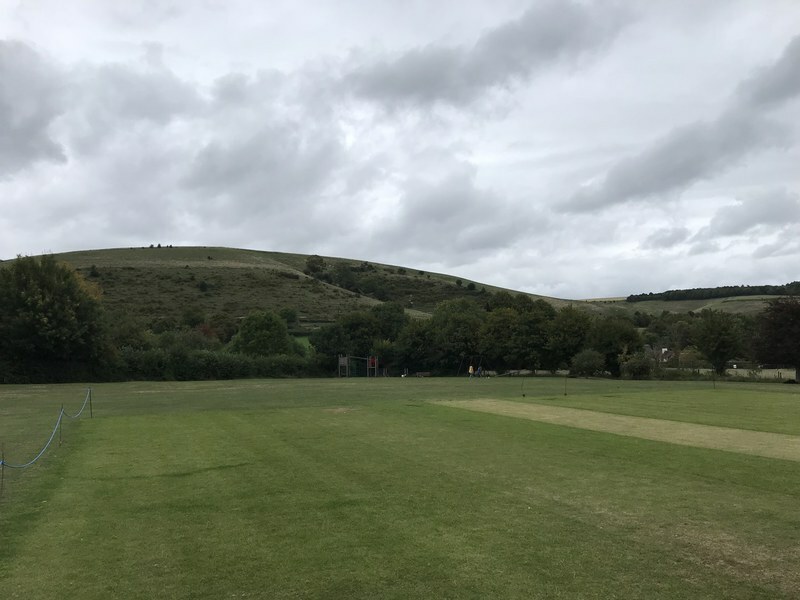 Izaak Lions won the toss and opted to bat first on the small slopey pitch with numerous cracks in the outfield but a fair wicket. Skipper Davey opted to open with the lesser known Hawks bowlers and it was a stratgey that ultimately paid dividends. 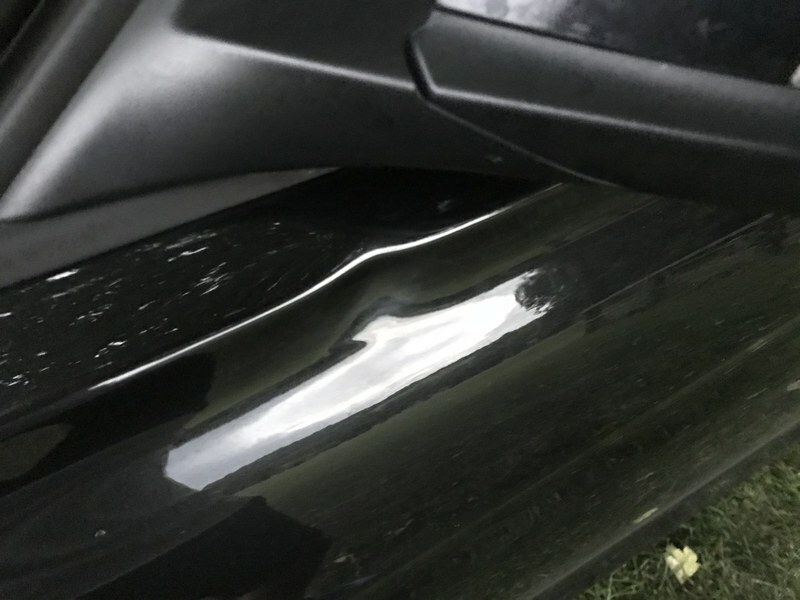 Wild and S. Clark were knocked for 34 runs off the first 4 overs with numerous wides adding an extra 2 runs a piece - one of Wild's balls was also knocked for a six which landed on Vinnie's BMW passenger door causing a small dent. O'Donohoe and Smith were then hit for 29 runs leaving the home side on some 75 runs after 8 overs . 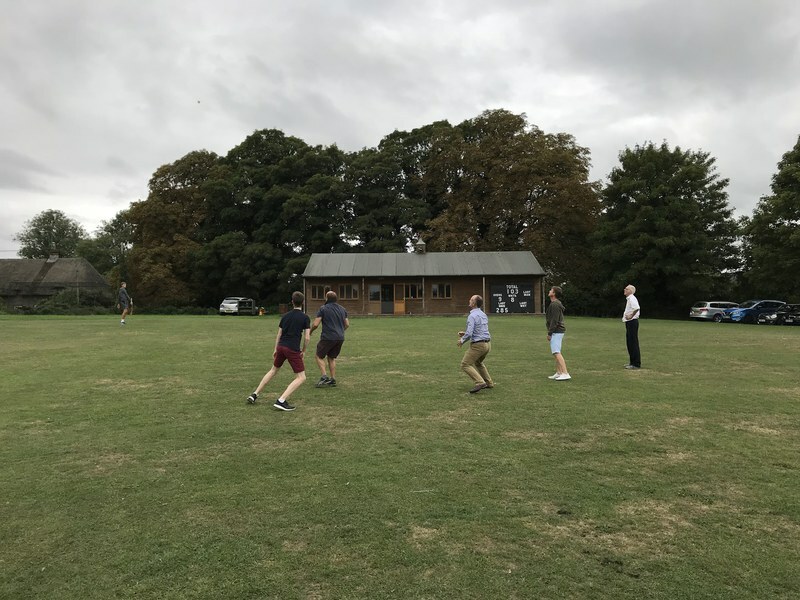 The home side appeared to be coping with their own game format really well (everyone bowls 2 overs, can't be out first ball, 2 runs for a wide and no rebowl, 25 runs retire) and another Lion's victory looked likely. 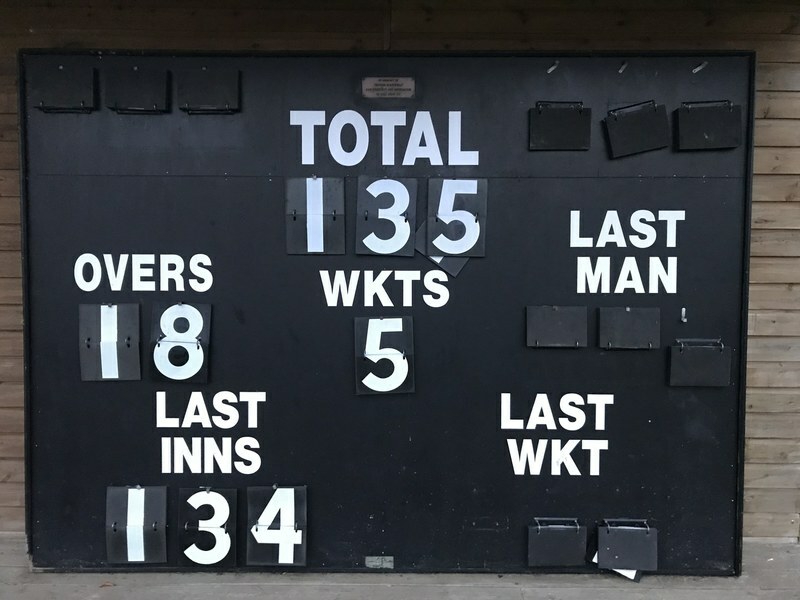 Things started to turn though after four good overs from Davey (1 run out) and Strudwick (2 wickets) giving away just 15 runs and then Parker got in on the act also taking a wicket for just six runs. Some good late bowling form A. Clark, T Phizackerley (2 wickets) and R Peterson as well as some decent Hawk's fielding restricted Izaak Lions to 134 runs from their 20 overs. Parker and Phizackerley opened for the Hawks and Parker was soon walking back to the clubhouse after being bowled by Dave when on 3 runs. Peterson came in and knocked a couple of boundaries before also being bowled on 12 runs. "Pistol Pete" Wild came in at number 4 and was soon smashing the ball around on his way to 23 runs, just 2 shy of retirement - Phizackerley was forced to retire back to the hutch though after knocking a consummate 27 runs. Smith was bowled cheaply on 3 runs but O'Donohoe produced his batting performance of the season also making 27 runs and forced retirement. 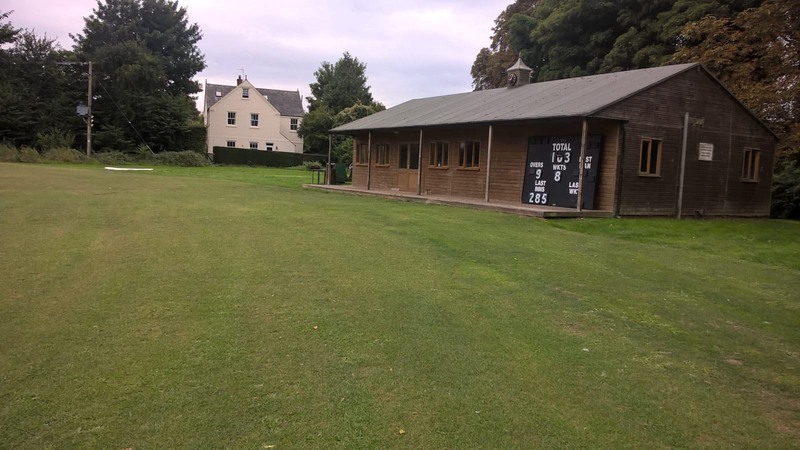 Strudwick (2), Davey (9) and A. Clark (0) all came and went which left Burt and S. Clark at the crease trying to make the winning runs from the last few nail biting overs with the light fading rapidly. In the end S. Clark managed to edge a fast delivery from the Lion's best bowler on the first ball of the last over to earn the Hawks a momentous victory, their sixth win on the bounce. 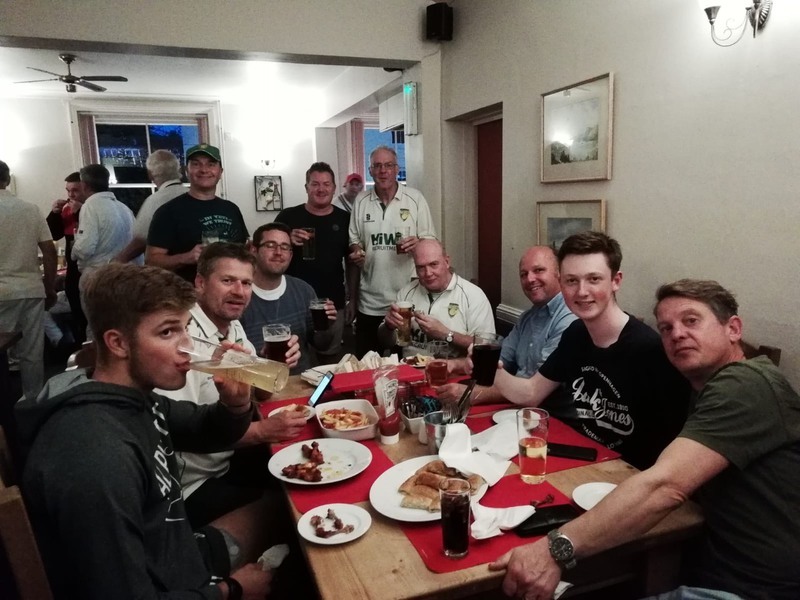 Both sets of players returned to the Izaak pub for a few beers and nibbles and then six of the Hawks returned to the Barleycorn for a welcome reception and some games of pool. The Hawks play their last game of the season at Bognor on Sunday (2pm start).